Thank you for visiting us at ISE 2018. 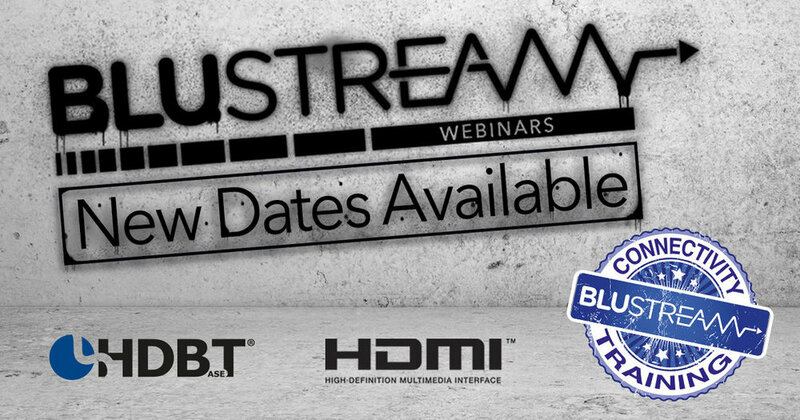 New AV distribution solutions available from Blustream! A big thanks to everyone who visited ISE 2018 and contributed to its amazing success. This years event was the biggest by far for Blustream and this was reflected in the number of visitors and positive feedback received. Over the next 2-3 months Blustream will be launching a comprehensive range of 4K 50/60Hz 4:4:4 HDBaseT distribution solutions. New scaling technology is now available across multiple formats and we have developed a range of solutions to suit a number of specific applications and price points. ▪ NEW Advanced Control Module (ACM) for Blustream Multicast. Aiden Jones, Tech Director at Blustream UK explains, ‘For the first time our market is experiencing a significant price vs performance threshold. With the significant increased investment required for 50/60Hz 4:4:4 multi-room systems, our integration partners and their customers need to be more confident than ever that they are specifying the most appropriate product for install in hand. Over the last 12 months we have developed a range of 4K extenders and matrix solutions that utilise the new technology standards in practical ways to maximise the price vs performance requirement’.